Rough. This whole business is rough. Curse you Touch Designer, and your allure. One of the many pieces of software that’s caught my eye over the last year has been Derivative’s Touch Designer. TD is built around the idea of visual thinking, and is made to run rich visual experiences. It’s built to be hardware accelerated in nearly every aspect, and exists somewhere in the space between Isadora, Max MSP, and Quartz Composer. As a nodal based programming environment, it also works within the idiomatic framework of a timeline based system. It might not be the best tool for media designers (at least as we’re being trained right now), but it’s a glimpse of the future in terms of a tool that’s built with the intention for programmer / designers to dream big enough and make just about anything. Right now TD is a windows only application. For me that means buying a windows based computer / laptop or getting with the program and creating a second partition for Windows on my Macbook Pro. My first bout with this idea was rough going. I might be a Mac user, but I’m also a frugal Mac user. When I purchased a laptop at the start of the academic year I knew that I was ultimately going to use OWC’s Data Doubler to install another hard drive in the traditional 15″ body of my 2013 Macbook Pro. I purchased a SSD for applications, and the OS to run off of and did the dance of opening up the case of a fairly new MB Pro. This is far from my first foray into hardware customization, but it was a little daunting given how tightly packed Apple makes its computers. Nerves aside, after watching plenty of tutorials, and making back up copies of my data I worked through the process without too many hiccups. I ended up moving the platter based drive to the optical bay, and placing the SSD in the traditional Hard Drive slot. I did all of this about 4 months ago, and it was after this that I decided to get a windows partition up and running. I’m a jealous man when it comes to my SSD space, and consequently I decided that I wanted to install the Windows partition on my platter drive. This proved to be easier said than done. 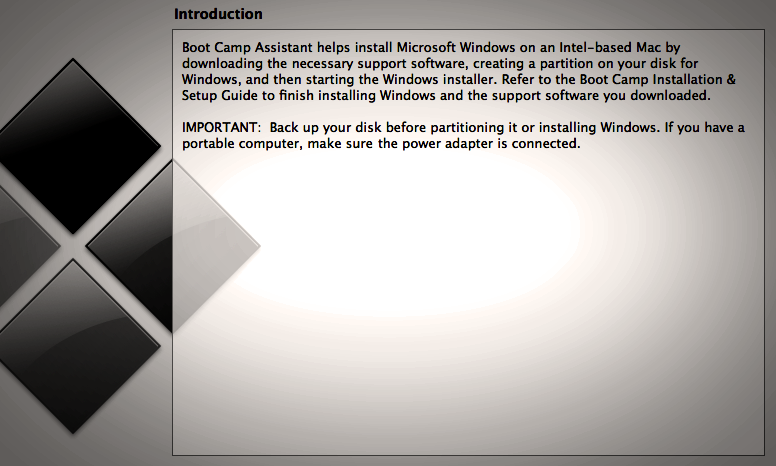 Apple advises users against using Bootcamp to instal windows to anything but the drive in the main slot. Their advice is to remove other drives, install to the destination drive, and then reinstall the other drives. Sound advice that I didn’t initially follow. After backing up all of my data I started by trying to install to my second drive out the gate. I didn’t manage to get very far here, so I ended up opening the case on the MBP and removing the SSD. Now I was able to get one step further into the Windows installation process, but quickly got stuck again. Windows uses a MBR structure on its boot drives, and OSX uses a GUID table. Part of what Bootcamp does is to do some software magic so that your partitions will play nicely with one another. My platter drive was still set up as GUID, and the windows installer was unable to reformat the drive by itself. I reinstalled the SSD, reformatted the platter drive as NTFS, removed the SSD, and got back to work. This time I was able to make it all the way through the install process. I reinstalled the SSD with the OSX volume, but was unable to boot into anything but windows. No amount of the option key when restarting or using the windows Bootcamp assistant would solve this problem. Finally I had to open the case again, pull out the platter drive, reformat it with another computer, reinstall it, and then I was back in business – albeit with only the OSX volume. Feeling gun shy I decided that I wouldn’t bother with a windows partition. Then I started working with TD more and more on a loaned computer. So I changed my mind. This time, however, I decided that I would be willing to share my SSD with the windows partition. I made a plan, and set aside some afternoon to get this done. I backed up all of my data and wanted to get to work. Start things process I soon found out that my first trip down Bootcamp lane had left me with a mystery partition that I couldn’t delete, and that was blocking the install process. With everything backed up I decided that I would just reformat, do a clean install of Mountain Lion, and start there. With a copy of OSX installed on USB key I went to work, and while I could still boot into my user account, from the USB boot I wasn’t able to reformat the drive. Okay, no problem I decided to pull out the drive and reformat it on another computer, start with a blank drive, and install OSX. In trying this, I couldn’t manage to boot from the USB key at all. Next up I tried another USB key. So I pulled the drive from the computer, then installed a clean image on the drive. I went to restart my MBP with the restored image. I connected one computer to another and started the troubled mac in Target disk mode. Here I was able to see the drives in question, and do some adjusting. Restart, still no dice. Started in restore mode, and I can’t see the SSD anymore. I formatted the old HDD, and installed Mountain Lion. Once Mountain was installed, I was finally able to see the SSD. From here on in the trouble shooting got easier. I reformatted the SSD, cloned the working OS instal over to to the freshly formatted drive, then restored data and settings from a Time Machine backup. From here I followed along with the Bootcamp installation guide. The one hiccup here was that I still had a USB drive attached when I was working through the install process. Using the back arrow to rewind to the beginning of the Windows 7 install process and removing the USB attached drive got me where I needed to go. Finally I had a Windows 7 partition and an OSX volume up and running. From here on in the rest of the process was just about details. I split the larger platter HHD into two partions – one HFS and one NTFS. While the windows partition can see all of the data on my HFS drives, I can’t write to them. I’ll use the NTFS formatted drive as works space and storage space for the TD work that I’ll do. I hit a lot of walls in this process, but have learned a lot as well. If nothing else, persistence really is the name of the game some times. I’m also fortunate to have started this process over a weekend this time around instead of late at night. All of the trouble spots I planned for weren’t trouble spots at all, it was the things I didn’t plan for that ended up being issues. “Life is what happens when you’re busy making plans,” and in the same way, the hurtles that this kind of work throws my way are often the things I least expected. I don’t know that I’m in any hurry to do this whole process again, but it is nice to know that I’m up for the challenge. This entry was posted in Hardware, Software and tagged Arizona, Arizona State University, ASU, Bootcamp, graduate school, OSX, Windows 7 on April 14, 2013 by raganmd.